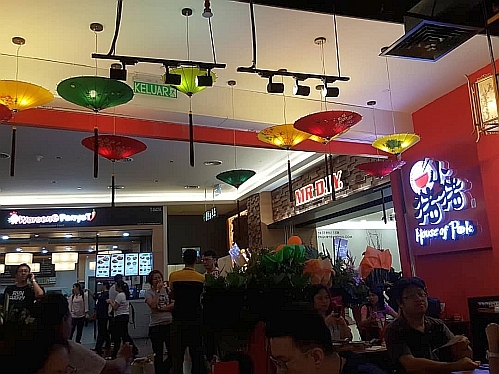 After seeing that this new eatery is opened for business, we went there to test out the food. Please click on all the menu photos to view the food. 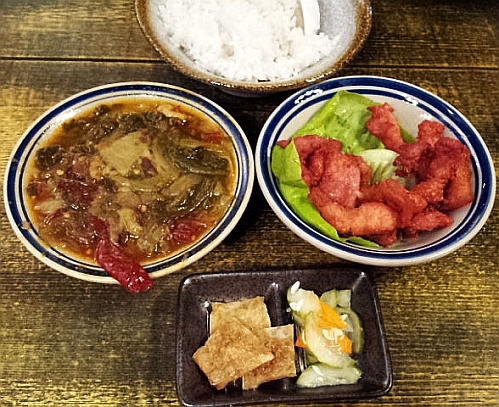 There are 3 types of combination of dishes for set lunch. 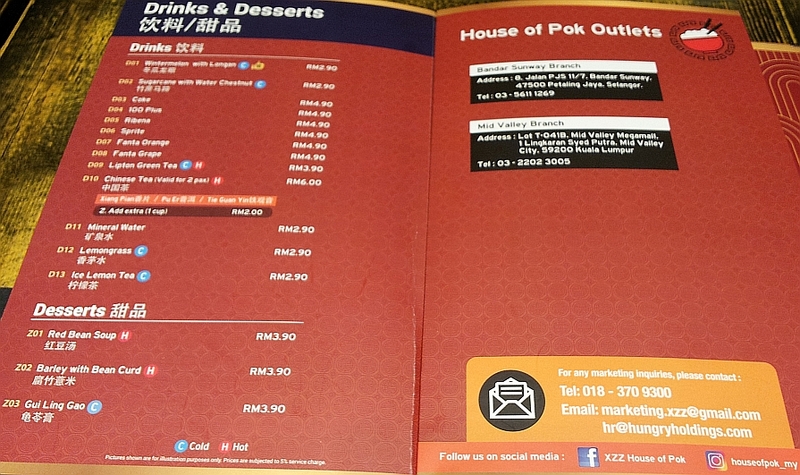 Each dish in section A costs MYR 7.90+ (5% service charge = MYR 8.30 nett) and each dish in section B costs MYR 4.90+ (MYR 5.15 nett). Set ST01 where one selects 2 dishes from section B costs MYR 10.90+ (MYR 11.45 nett). 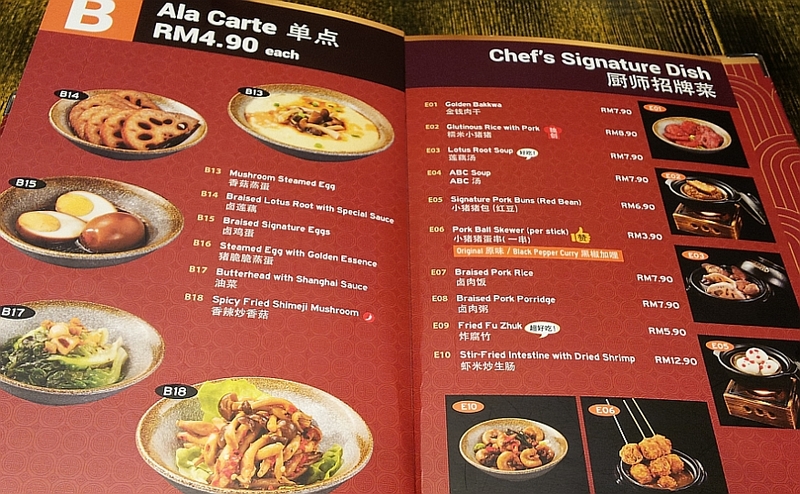 Set ST02 where one selects 2 dishes from section A costs MYR 14.90+ (MYR 15.65 nett). 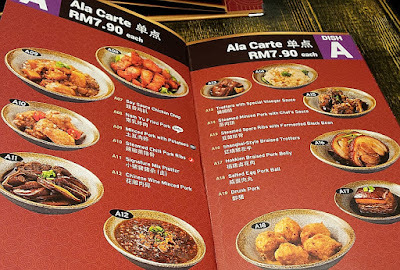 Set ST03 where one selects 1 dish each from section A and B costs MYR 12.90+ (MYR 13.55 nett). 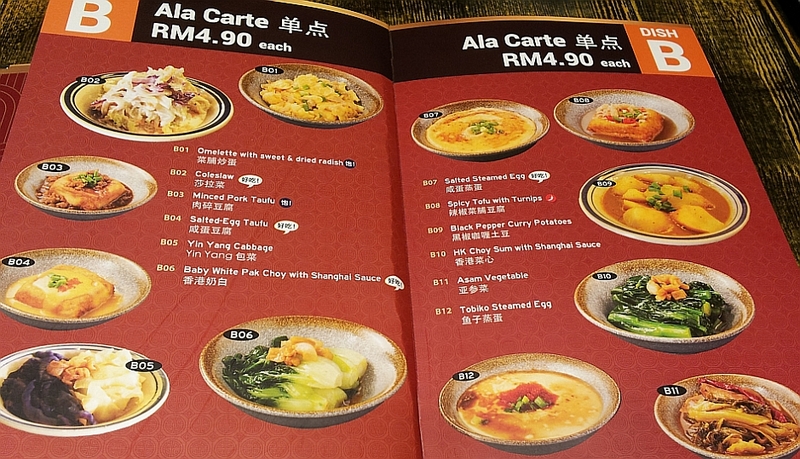 One can also choose to have either rice or congee with the sets or go ala carte by just choosing 1 dish from any sections. 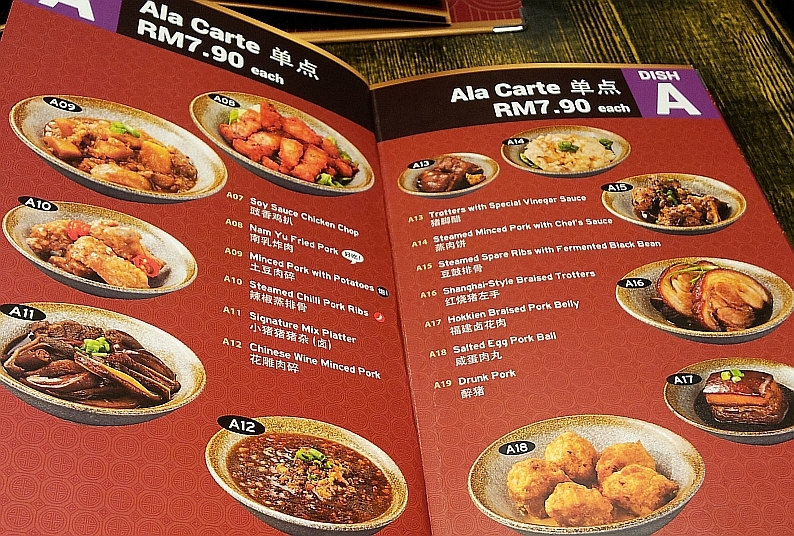 Which meat dish to choose? Vege, egg, and tofu dishes in section B. More vege, egg and mushroom dishes in section B. 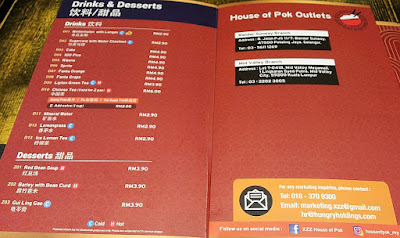 My lunch: A drink (MYR 2.90+) and 1 ala carte dish (MYR 4.9+) from section B. 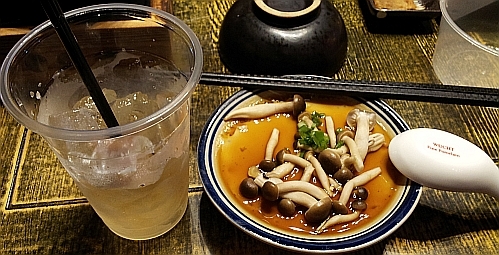 The steamed egg is not as soft as the texture of chawanmushi but still tasty. 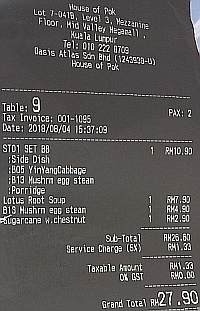 My total costs: MYR 8.20 nett. My friend ordered set ST01 with both dishes from section B. She also had a bowl of lotus peanuts soup (MYR 7.90+) from the "Chef's Signature Dish" section. 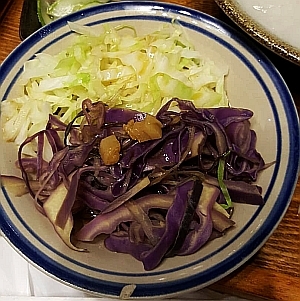 Close up look at the two types of cabbage in a bowl. Total Bill is MYR 27.90 nett. I went again with my spouse the next day. I ordered ala carte a bowl of braised pork congee at MYR 7.90+ (MYR 8.30 nett) because they do not sell plain congee. 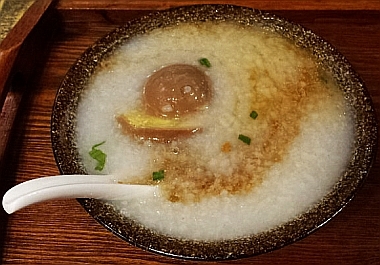 The congee is very watery and there is a braised hard boiled egg in the congee which I was happy to get as I was not expecting the egg. My spouse ordered set ST03 with rice (1 dish from A and B each). Nam Yue Pork dish and sour vege dish which went well with my bowl of congee. Colourful umbrellas. The gave us a loyalty card with 1 sticker for each set lunch. 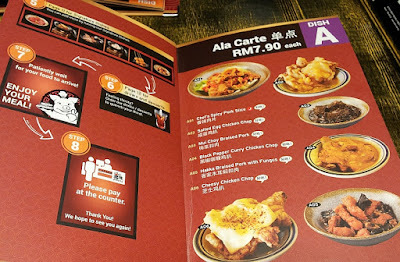 After looking through the menu, which dish would you eat? I like the snout in the O. LOL!!! I would prefer your friend's set. 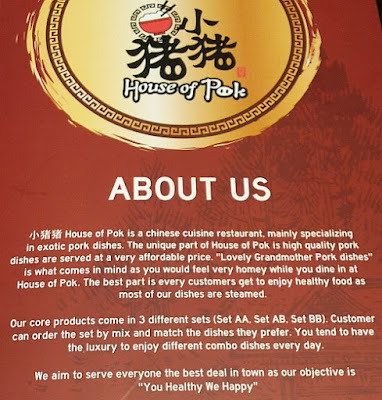 The restaurant's name is catchy and funny. I would love to eat everything there. You seldom visit midvalley mall I think. The restaurant's name is my surname, LOL! 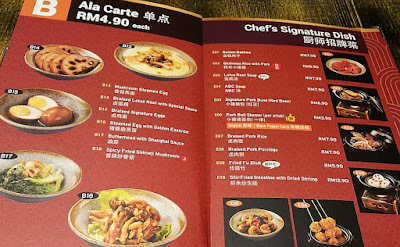 Quite a good selection of dishes to choose from. You must try them all, Mun! Looks good to me! Maybe if my friends eat there. I will most likely choose the ST03, the set your spouse chose. 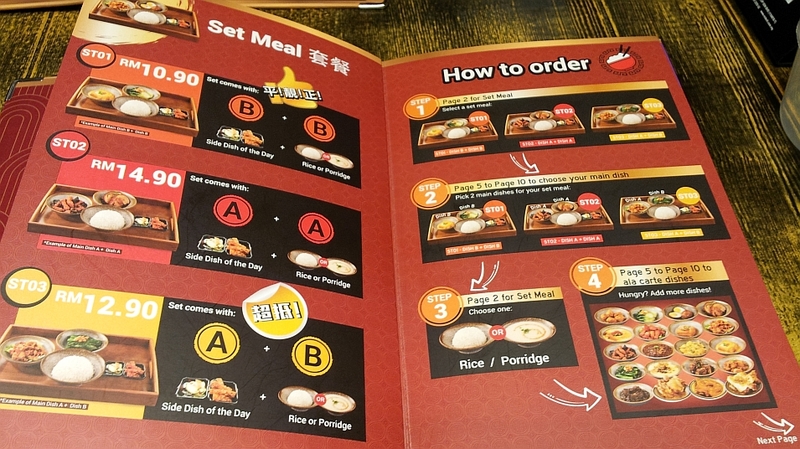 One from set A and one from set B.
I'll go for anything except congee, hehe. Am not a fan of porridge. 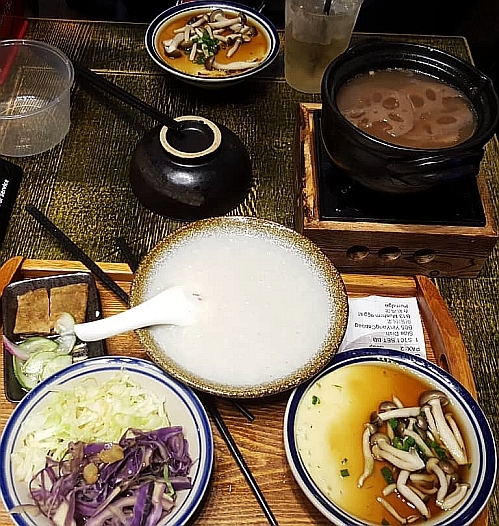 Congee is easy to eat because I am lazy like that. So you prefer the dishes from set B more. I see you like to eat eggs dishes too. Guess you would choose from Set A.